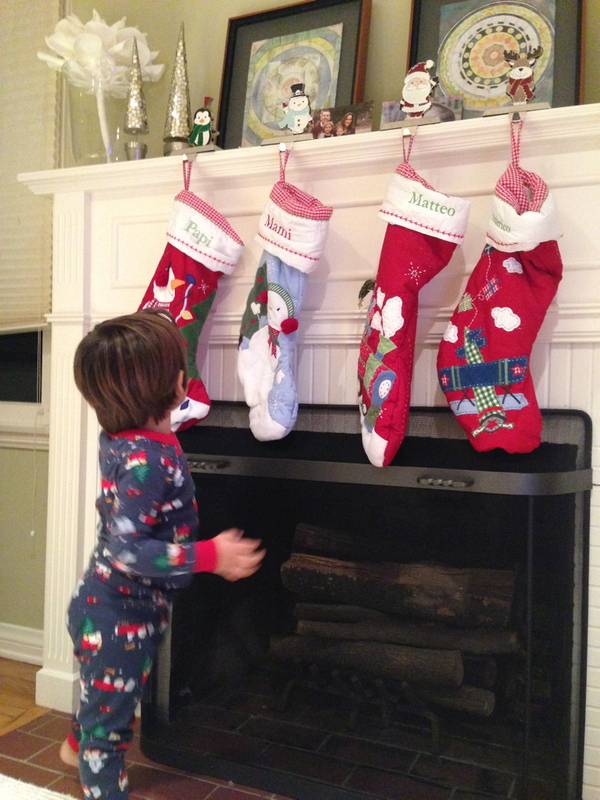 Few things are cuter during the holidays than little munchkins in their holiday pjs. I mean, so so cute! "For child's safety, garment should fit snugly. Loose - fitting garment is more likely to catch fire." 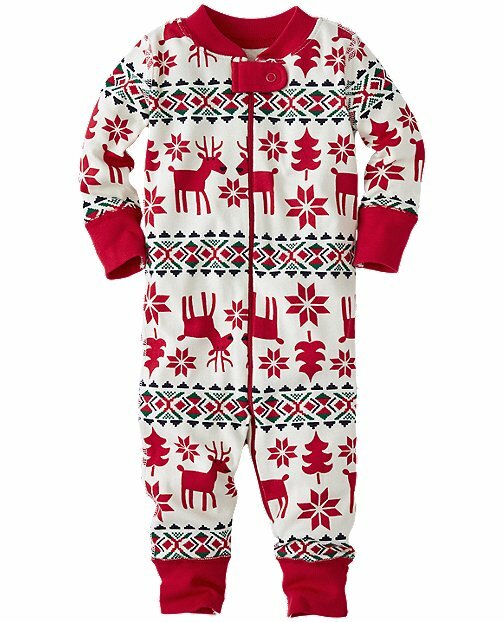 or snug fitting. This garment is flame resistant." It might seem like a second thought to stop and read these tags, however choose the pj with the wrong tag and you could be exposing your kids to some seriously toxic chemicals. 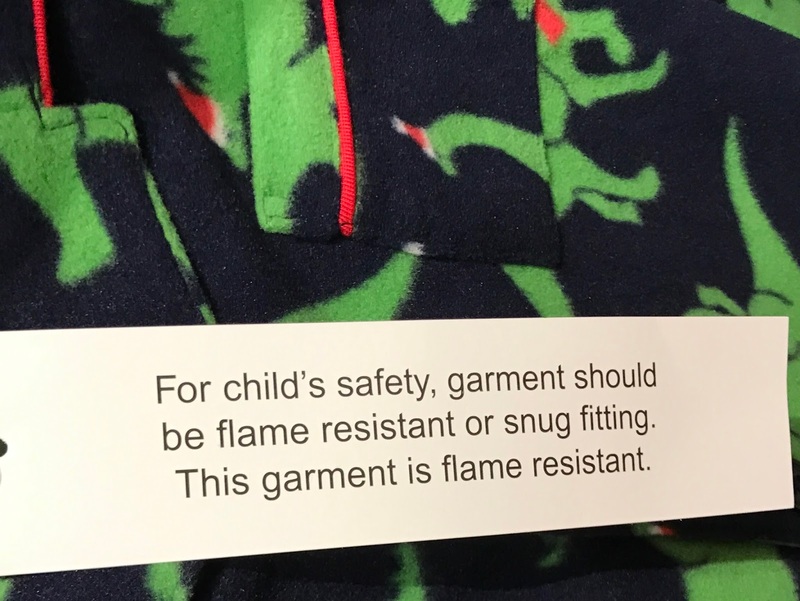 Why do we want to avoid pajamas with flame retardants? Just how bad are flame retardants? 100% of babies tested in the US had flame retardant chemicals in their little bodies. 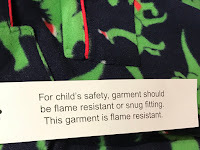 So, this year, make sure your kid's pjs are non-toxic and flame retardant free by choosing only choosing the yellow tag (all organic pajamas or snug fitting pjs should, by law, have this yellow tag which specify they are not flame resistant). 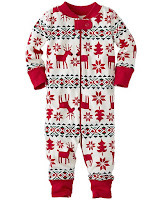 Unfortunately, loose fitting pajamas are not the only source of flame retardants. Today flame retardant chemicals are commonly used on tv sets and other electronics, upholstered furniture (sofas, chairs etc), some mattresses, car seats, interior of cars, insulation, wiring, etc. The main problem with flame retardant chemicals is that they are not bound tightly to the products they are applied to and thus leech out into the environment. Children, particularly, tend to have higher levels of certain brominated flame retardants than adults do because of how often they are crawling, playing or laying on the floor where they are in close contact with dust, which is where these chemicals migrate too after leaching out of the products they are sprayed on. 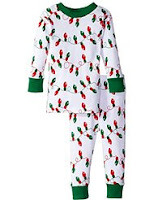 Just choose snug fitting pj's or organic pj's (say no to loose fitting and flannel)! And when in doubt- just read the tags!